Our University Market will take place this week on Tuesday 3rd March 2015, 10.00am – 3.00pm, outside George Kenyon Hall. We’re back at uni! Well, the students have been for some time, of course but we thought we’d give you all time to get bedded into 2015 before we came along with our sensational lunchtime options and fantastic foodie shopping! So the first market of 2015 will take place at our usual spot down the side of Uni Place and will feature *20* amazing food sellers. Make sure you visit us for an awesome street food lunch but don’t forget we have a host of produce sellers with bread, eggs, veg, meat, pate, pies and more besides – take a look below for all the details for who will be there! 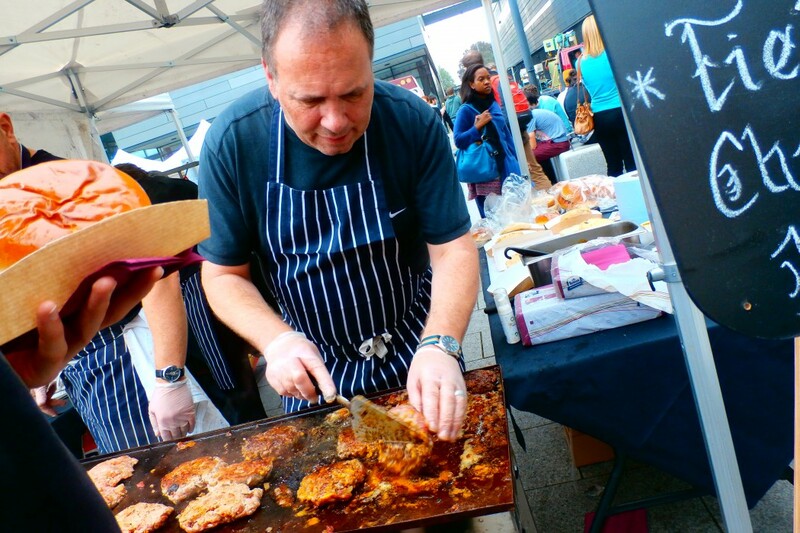 Good Mood Food, social trading arm of Manchester Mind: Vegetarian and vegan burgers and sausages (including, haggis, beet, chipotle, chorizo, spicy black bean, wild mushroom, black pudding) vegan pulled ‘pork’, soups and selection of salads, sauces, chutneys and relishes. The Kindling Trust: Sustainably sourced vegetables and eggs from local organic farms.